Number of Convictions by Offense. Out-of-State or Federal Convictions indicates offenses committed in another state or prosecuted in federal court. 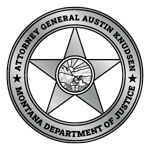 Occasionally, offenders are ordered by a court to register for offenses not listed in Montana's registration statute. The total number of convictions may be larger than the total number of registrants because some registrants are convicted of multiple offenses.